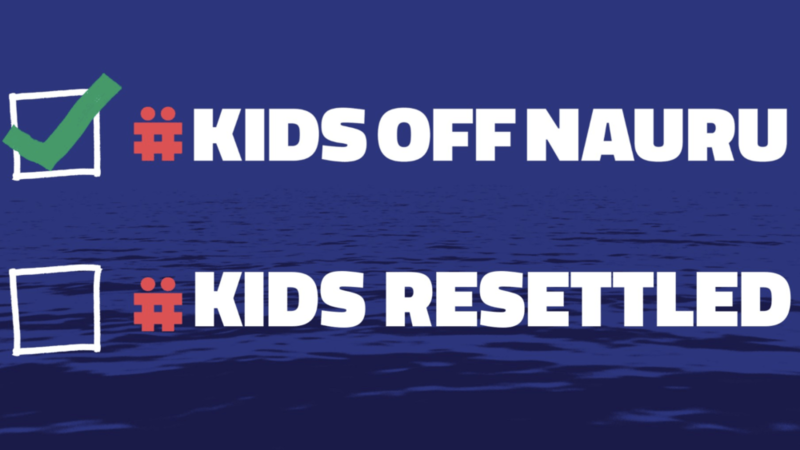 #KidsOffNauru campaign graphic encourages Australians to ensure all kids are resettled in a safe country. Asylum seeker advocates have welcomed news announced over the weekend by Prime Minister Scott Morrison that the last four children would be removed from Nauru, having all been approved for departure to the US with their families. “When the Prime Minister took office in August last year there were 109 children still on Nauru and today this announcement means the final four and their families will be removed,” explained Micah Australia’s Campaign Director Matt Darvas. “This has been an extraordinary campaign, led by Australia’s humanitarian and refugee sector with many thousands across the country raising their voice on behalf of these children,” he said. 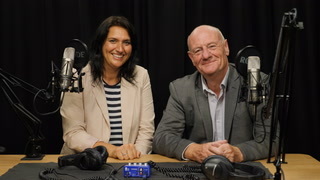 Many Christian organisations have been at the forefront of advocating for asylum seekers – particularly the children on Nauru – for many years, including Love Makes a Way, The Brigidine Sisters, Uniting Care, Common Grace and the National Churches Refugee Taskforce. Prominent Christians from all denominations have also used their social media platforms to make a stand, ranging from Archbishop Glenn Davies to controversial minister Father Rod Bower and Hillsong worship leader Brooke Ligertwood. Love Makes a Way – a nonviolent direct action group – has seen more than 300 Christian leaders risk arrest to take part in peaceful protests, generally in politician’s offices, to call for the release of kids in immigration detention. Late last year campaigners were given a boost with the launch of the targeted #KidsOffNauru campaign, which saw organisations like World Vision Australia and Micah Australia bring fresh resources and energy. In November last year, the campaign delivered a petition to Canberra calling on the Government to get kids off Nauru that was signed by 170,000 individuals and more than 400 organisations. “Micah has been able to play a role in coordinating Christian leaders to both speak out publicly and through more private channels, including correspondence throughout this campaign. We’ve made it well and truly known to the Prime Minister that Christian leaders and Pastors across the nation feel very passionately about this issue,” Darvas said. Despite having fiercely defended offshore detention of Nauru, the Prime Minister has described the final children’s removal as a success of his Government – a claim roundly dismissed by advocates. “The only reason there are #KidsOffNauru is that the change in the community sentiment has made it no longer politically profitable to keep them there,” tweeted Father Rod Bower. Professor George Newhouse, Principal Solicitor at the National Justice Project (NJP) tweeted, “@NJP-Au had to fight the Minister for Immigration in court for the last 12 months to get #kidsoffNauru. Many were taken off the island after 6 years on an island prison in a catatonic state- It’s hardly a moment of glory for @ScottMorrisonMP”. World Vision Australia CEO Claire Rogers, who launched the #KidsOffNauru campaign in August last year, welcomed the news of the last four children being removed from Nauru saying, “Once ordinary Australians realised that the Government was locking up kids in our name, they made it clear they wouldn’t stand for it. Asylum seeker advocates have encouraged Australians to maintain pressure on the Government to ensure that children in Australia for medical treatment are resettled and are not deported to their home countries as Immigration Minister Peter Dutton warned they could be last year, or returned to Nauru, when the public’s attention moves on. “The job’s not done till all the #kidsoffnauru are safely resettled in Australia or another country that welcomes them. No detention swapping. Don’t stop agitating your local MP until everyone on Manus and Nauru are #SafeAndFree” tweeted the KidsOffNauru campaign.